The utopian wants to fly by disregarding gravity instead of understanding it. will sneer at one if it passes in the street and try to think of ways to stop people owning Ferraris. will cheer at one as it passes in the street and try to think of ways to own one. are as visionary and impractical as those which vest all property in the crown. Individual rights as granted under natural law were life, liberty, and property. The sudden collapse of the Soviet Union proved that Marxism can bankrupt even the largest country on earth. Obama's Marxism confirmed that rule; last January, when he left the White House, 95 million Americans were out of the workforce, food stamp beneficiaries exceeded 48 million, the GDP had fallen from 3.4 percent to 1.6 percent, and the national debt reached an unprecedented $202,000 per citizen. socialism is about control and its about taking away people's freedom. and telling them these are the people you have to give it to. your water stops being clean. There's no way to escape these simple economic facts of life. Socialism works until you run out of other people's money to use to print your own fake money. They (the left) want to control your life. They regard conservatives as the party of Satan. Adolf Hitler as quoted in Adolf Hitler: The Definitive Biography, John Toland, New York: NY, Anchor Books, 1992, p. 224. Quote is from a speech at the Clou restaurant center on May 1, 1927. We should not be economically free so that others can live for free. You can't move up the ladder if you can't get on the ladder. Tom Sowell on the bad effects of the minimum wage. Karl Marx had a beautiful dream but throughout history Marx's dream has become a totalitarian nightmare. Communist countries have a history of repressing liberty and mass murder of their inhabitants. Is this because Communism is inherently bad or is it because totalitarian regimes hid behind the cloak of Communist ideology? George Orwell wrote a great book called Animal Farm which shows how a totalitarian regime can hide behind the ideals of a ideology such as Communism and use propaganda and intimidation to take control of and exploit the masses. Throughout the history of Communism this has happened. In the story Napoleon, drives off the opposition and replaces democratic rule with rule by committee. Historically Communism has not been democratic and Communist countries have been run by committees. Is this lack of democracy an intrinsic part of Communist ideology? I think it has to be because otherwise people in a Communist country would vote for the right to have private property or would leave the country. In a Communist country all private corporations and businesses are nationalized. This concentrates all the power in the country in the hands of those who control the corporations and businesses. Communist countries such as Russia have a history of people trying to escape from the "socialist paradise" in which they live. It is typical of malcontent (or "utopian") politics to destroy what it has failed to appreciate while falsely promising to create. Communism, the ideal type of this style of politics, has destroyed the cultural life of Russia, which flourished even under the czars. The energies of radical regimes are pretty much consumed in stifling the energies of their subjects; they try to impose their fantasies by force and terror, and their real achievement is to be found not in their population centers but at their borders, which are armed to kill anyone who tries to flee. Communism can claim the distinction of driving people by the millions to want to escape the homeland of all their ancestors. I think that it is not a coincidence that Communist regimes have a history of being controlled by corrupt and totalitarian leaders. There are inherent problems with the noble sounding aspirations of Communism. The problem with Karl Marx's idea of abolishing private property is that then society collectively owned all the property which meant that the leaders of society had totalitarian control over society. Although Karl argued that elimination of private property liberated man it really enslaved him. His goal for forcing equality among people also led to a loss of liberty which is discussed on the liberty page of this web site. Inequality of wealth among men is often the result of some men working harder than others or saving more than others. It is often the result of people buying what they want from those who provide them what they want and not buying products they don't like or that don't meet their needs. In order to achieve Marx's dream of economic equality it becomes necessary to prevent those who work harder, save more, and making better products, from making more money than those who work less, spend more and make inferior products. People can't have the freedom to buy the product they want or that would create inequality as well. In otherwords the government has to have totalitarian control over it's people. Venezuela is a good example of what happens when the government tries to keep costs down through price controls. North Korea is another example of the poverty caused by communism. Many of it's people are starving. The picture of North Korea below captures what is wrong with communism. 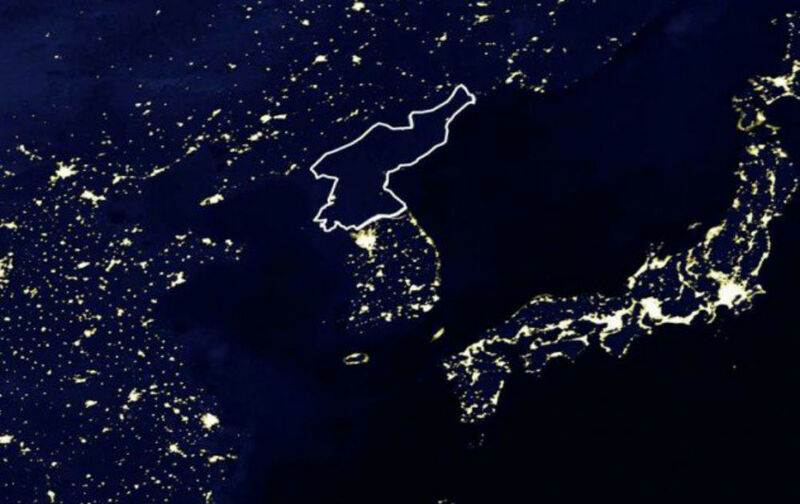 Notice how no lights are visible at night in North Korea because the country is so poor. Bernie Sanders is a socialist candidate for president of the United States. He argued that he's for Scandanavian socialism and that Scandanavia is doing well. Is it? Karl Marx was against the existence of different classes in society. Ironically Communism creates a totalitarian leadership class. Although Communism may equalize wealth somewhat it also diminishes wealth by reducing the incentive to work which reduces productivity and increases poverty. Obamacare is a form of communism in which everyone is supposed to get equivalent health care. 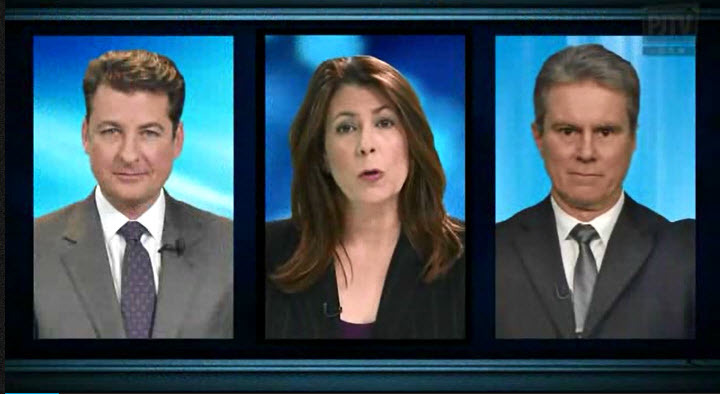 The result of Obamacare is the opposite as the following video explains. Even without Obamacare there is a large degree of socialism in American medicine. Those who pay for insurance get billed astronomical sums for those who don't for the sake of fairness and universal health care and "compassion" and votes. An extreme example of that is Zuckerberg San Francisco General Hospital. On April 3, Nina Dang, 24, found herself in a position like so many San Francisco bike riders � on the pavement with a broken arm. A few months later, Dang got a bill for $24,074.50. Premera Blue Cross, her health insurer, would only cover $3,830.79 of that � an amount that it thought was fair for the services provided. That left Dang with $20,243.71 to pay, which the hospital threatened to send to collections in mid-December. Notice how the hospital's liberal compassion stops when it comes to the people they are extorting money from, the people who actually work for a living. But after I came to the U.S., I saw another solution other than socialism and Marxism in the American free market society. Marxism sought to remedy injustice through centralized methodologies. The free market allowed individuals a chance to make it by their own will. I embraced the free market because it did not replace one control system with another. I saw the free market as a far superior solution. The other thing I noticed right away was that America respects pluralism. Every other ideology I had come to know before tried to solve injustice at the expense of the freedom of others to choose differently. The beauty of America as I saw it was that one idea could be presented and then it is countered, and then ultimately there is a synthesis of the better of the two ideas that creates the solution. And it is a constant and never ending process. I found that there is no room for totalitarianism in America. And so I had to see Marxism for what is was, a bad idea created, sometimes, for arguably legitimate reasons in unfair circumstances, but still a bad idea. America had the solution with a free market society. The Kibbutz in Israel was an attempt at communism. It had to change into a capitalist enterprise in order to survive. The video below discusses the story of the Kibbutz. Thomas Sowell in a column (Dec 5, 02 townhall.com) about Josh Muravchik's book-"Heaven on Earth: The Rise and Fall of Socialism." Human nature has been at the heart of the failures of socialism to produce the results it sought, even when socialist leaders were idealists like Julius Nyerere in Tanzania or Pandit Nehru in India. Nowhere have people been willing to work as well for the common good as they do for their own benefit. Perhaps in some other galaxy there are creatures who would, but the track record of socialism among human beings on earth shows that this is not the place. Russia was the breadbasket of Europe until progressives seized power that year (1917) and instituted policies to "share the wealth." For the next 70 years - until socialism collapsed - Russia was a net importer of food, always on the brink of famine. Communism replaces natural market forces by bureaucratic decisions which inevitably lead to loss of the wealth of society in general and also result in diversion of wealth to the bureaucracy. Russian Communist leaders for example, had nice dachas by the Black Sea that the typical Russian could not afford. The big holiday helpings of corn meal will be smaller than usual, for corn, the nation's staple food, is the scarcest commodity of all. "We don't have enough food to really celebrate this year," says Luka Philip Ngwenya. "Christmas will just come and go like any other day." For most people, that will mean a small ration of corn meal, supplemented with the roasted Mopani caterpillars and dried wild fruit that have helped keep villagers alive for the past couple of months. Mr. Ngwenya, a 63-year-old peasant farmer, stretched out under a dying Msasa tree in one of the hungriest places in one of the hungriest countries in the world. He waited patiently, along with hundreds of his neighbors, for the monthly distribution of food from the U.N.'s World Food Program and the aid organization, World Vision. Socialist Venezuela has milk shortages. This is really serious if you need milk for your child. Socialist Venezuela is ordering billions of Maduros (Venezuelan currency) because it can't afford to print its own money. The money has lost so much value that approximately one thousand bolivars are a dollar as of Feb 2006. Communists tend to be Utopian and tend to refuse to see the problems with their system. Extreme Utopians who believe that they have a system that will create paradise on earth tend to believe that anyone who does not agree must be reeducated and anyone who stands in the way of creating this paradise must be destroyed. The Chinese Communists are known for their reeducation camps and the Chinese and Russian Communists are known for the large number of people that they have killed. In a session with members of the radical group, founded in 1969, Grathwohl said discussion centered on a future in which the communist nations of Cuba, North Korea, China and the Soviet Union would occupy various parts of the U.S., with "re-education centers" established in the Southwest to prevent counterrevolution. "I asked, 'Well what is going to happen to those people we can't reeducate, that are diehard capitalists?' And the reply was that they'd have to be eliminated." Grathwohl, who worked as an operative for law enforcement agencies in Cincinnati, said when he pursued the genocide issue further, the Weather Underground members "estimated they would have to eliminate 25 million people in these re-education centers." "And when I say 'eliminate,' I mean 'kill,'" he continued. "Twenty-five million people." William Ayers was the leader of the Weather Underground. Obama's political career was launched at the home of Ayers and his wife, Bernardine Dohrn. It is frightening that at the time of this writing Obama it appears that Obama will be elected president of the United States. As a result of this philosophy Communism instead of creating a better man created monsters. Communists have a long history of persecuting religious people. The reasons for this are discussed on the Creation of Paranoia web page of this web site. More about the problems with Utopian thinking are discussed on the Utopia page of this web site. Karl Marx believed that because people behaved in their self interest and not in the interest of society the liberty inherent in the free market was harmful to the social good. The assumption he made was that if people behave in their self interest that was not good for society. There are several errors with this assumption. First people are society and if behavior is in their interest it is often in societies interest. Also although their primary goal may be earning money, their salaries will come from offering services or products to society. As most Utopian thinkers do Karl Marx ignored the positive aspects of the capitalist system he wanted to replace and the negative aspects of the system he wanted to replace it with. There are negative aspects to capitalism. The products people sell may not always benefit society an example of this is street drugs. Monopolies have the power to exploit their workers and the consumers of their products. Therefore an entirely free market is not good either. There has to be a balance. There have to be enforced anti-trust laws and anti-drug trafficking laws.